Your telomeres are listening to you. Hi, Welcome to According to Science, I’m Zoe Foulkes. Have you ever wondered why people age differently? Why some people look great as they get older and some people begin to look older…before they get older? Actually, I’m not, but we all know people who seem to look and feel younger than they are. So why is that? Is it nature? Nurture? Is it just in their genes? Is it because of the old saying “people get the face they deserve”? Which is obviously not true, because who really deserves to look as great as Beyonce? Actually, scientists now know the answer to why we age differently, or least some of it. It’s because of something called telomeres. So what are telomeres? They’re repeating nucleotide segments found at the end of each of your chromosomes. What does that really mean? If you think of your chromosomes as shoelaces, telomeres are sort of like the plastic caps on the ends of the laces that protect them from fraying. 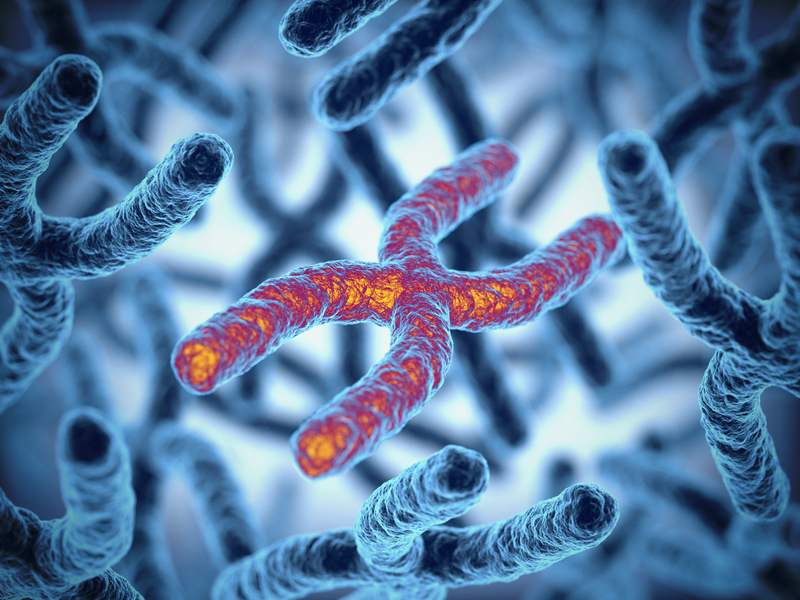 As we age, our telomeres wear down and get shorter, and when they get too short, our DNA is no longer able to replicate properly, which is how it replenishes itself. But the good news is that we have some control over this, not just over our friends – seriously, get rid of any friend who tells you that. All of us are aging – well, except for Pharrell – how is he 44? – but recent discoveries have shown that how we live can influence the length of telomeres and thus how we age. In 2009 molecular biologist Elizabeth Blackburn won the Nobel Prize in Medicine for discovering telomeres, and last year she published “The Telomere Effect,” with health psychologist Elissa Epel. They show how our lifestyle can help reduce chronic disease and improve well-being, all the way down to our cells and all the way through our lives. They break down the idea of lifespan into healthspan and diseasespan. Our healthspan is the number of healthy years we have, before we slip into diseasespan, which doesn’t sound like a ton of fun. And what they found is that we can stop our telomeres from shortening, or even lengthen them by reducing stress, exercising, eating better and getting enough sleep. And longer telomeres means longer healthspans. Your telomeres, it turns out, are listening to you. And it’s not just how we’re living, it’s also how we’re thinking. Feeling negative, hostile, threatened or stressed out speeds up the aging process through our telomeres. They’re one of the key biological connections between mind and body. Meditation can actually lengthen your telomeres. It doesn’t take much exercise – people who exercised 3 times a week for 45 minutes had telomeres as long as marathoners. Telomeres hate processed meats like hot dogs, and love fresh, whole foods. Telomeres are passed down from generation to generation. That means if your parents had stressed out, hard lives, that stress, in the form of shortened telomeres, is passed down to you. But the good news is you can lengthen your telomeres, and pass them on to your children. And you can actually see the effects of lifestyle changes on your telomeres in a matter of months. Want to see an example? When President Obama took office, he looked like he was sporting some healthy telomeres. Eight long years of stress is a recipe for short telomeres. But just a few months after leaving office, President Obama is growing them back…golfing, kitesurfing with Richard Branson, having an open-collared bro-chill with Justin Trudeau. But you can do it, too – no matter what your job is, and even if you have to wear a tie. Your telomeres are listening to you right now – yes, it’s a bit creepy, but nevertheless they’re either going to get shorter or longer depending on your choices. Create a sleep ritual to get enough quality sleep. Unplug from screens regularly and especially at night be charging your phone somewhere other than your bedroom. And if you’re near Richard Branson, try kitesurfing with him. And have a happy and long healthspan. Your telomeres will thank you, and your children’s telomeres will thank you too.